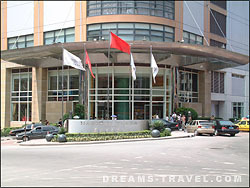 Located in central China is the city of Chongqing . The name Chongquing comes from the Jialing River that runs through the city into the nearby Yangtze River . 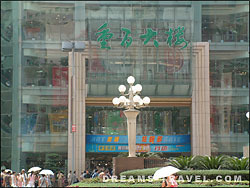 It is the greatest populated city of the People‘s Republic of China ‘s four provincial-level municipalities. 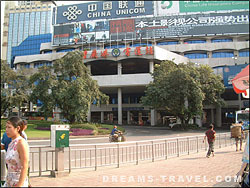 Unlike the other three Chongqing is based in the less populated western region of China . 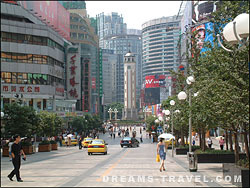 In the recent 2005 census, just over 6.3 million people lived in Chongquing which is much lower than the other nearby areas. 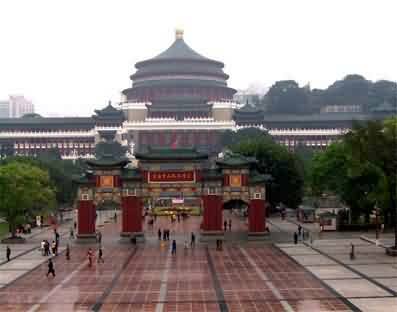 Supposedly Chongqing was established around the eleventh century BCE by the Ba people and by 316 BCE, the State of Quin had overrun the city. 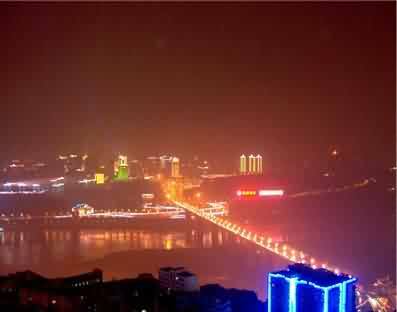 Chongqing‘s climate is fairly mild compared to other parts of China . The annual average temperature is right at 65°F and during the summer you can expect to see triple digit temperatures quite frequently. Nearly 1200 total hours of sunshine and roughly 45 inches of rain is seen per year. The terrain of Chongqing is very rough and full of many hills. 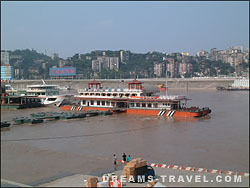 Chongqing has been known historically for its large trading inland ports. 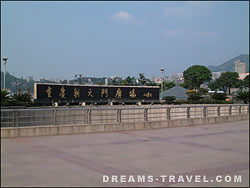 During the mid twentieth-century Chongqing was transformed into a major industrial city. Many military industries were built but recently they have went under reforms and stopped producing military items to increase the growth and survival for the average civilian. Many natural resources are available in an abundance, including coal, natural gas, and strontium. Nearly 4.8 billion tones of coal reserves is estimated to be in Chongquing which is the highest in China itself. The city is also home to the worlds second largest strontium reserve. With all of these resources you can bet Chongqing is growing at a steady rate. Its economy is rising at just over 12% on a yearly basis. The nominal GDP in 2005 was just at $38.75 billion US dollars. Many tourism resources are availiable which explains how nearly $26 million is made from tourism alone annually. One of the more famous tourist spots is the Three Gorgest, a very scenic area that is located upon the Yangtze river . It is also the most frequently visited canyon throughout China . A high number of history landmarks cites are in the metropolitan area due to the World War II. The worlds largest public bathroom was created in July 2007. The bathroom is a four story building with 1,000 toilets uniquely shaped. Several urinals have the look of an open crocodile mouth or a woman resembling the Virgin Mary showing her bust. Chongqing has a semi-tropical climate with two-seasonal monsoon variations. The summers are quite hot with temperatures reaching 112°F. The city is also known for its severe fog which was a great tool used during the World War II for protection. Due to the great amounts of coal burning without any controls on pollution, air pollution is a large problem.